How to unlock the page in contact. 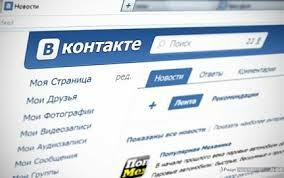 The site vkontakte is the most visited online resource of CIS countries. Lately počastìšalo concept of "SMS scammers" who on behalf of the authority sites (in this case vkontatke. py) are asked to send an SMS message in order to unlock the page vkontakte. How to be in this case and whether to send sms to unlock the page. if offered to send (not receive) SMS or get certified account - it's absolute virus. Users who have registered to enter account activation function, it does not apply (ie registered by September 2009). Activation is free and requires no mandrel messages. C:WINDOWSsystem32driversetchosts – check out this file (open via Notepad), if there is something about Openid (vkontakte.ru and vk.com) – delete these rows. (Attention. this Prize you must be a computer administrator). If you have the file on your hard disk vkontakte. exe or on VK .exe (check search)-delete it. Your computer is infected with a virus that changed the registry. Incorrectly modifying the registry can disrupt your system. In the Parameters tab in the right part of the window menu appears with the name of the file, its type and value. Select the DataBasePath and click on it, right-click, and click Edit. Change the value to% SystemRoot% System32driversetc (if you have the same value, then replace it need not and must execute algorithm with Option No. 1, which refers to a hosts file). Also recommended to scan your computer for viruses and change the password from the mailbox and from VKontakte. If you still did not work, and you do not unblocked facebook page then read an article about how to recover in contact page. That's all about how to unlock page to contact.